Traffic is mild, you finally relax in your cab ride or Uber drive then suddenly the person in front of you hits their brakes in the middle of a relatively empty freeway, disturbing you from your groove. Then this stranger cuts you off a bunch of people to get in the 3rd lane. You’re probably pretty scared and angry now aren’t you? Do you wish you could actually do something about it? Report these drivers? Or perhaps know that they are lurking in your corner? 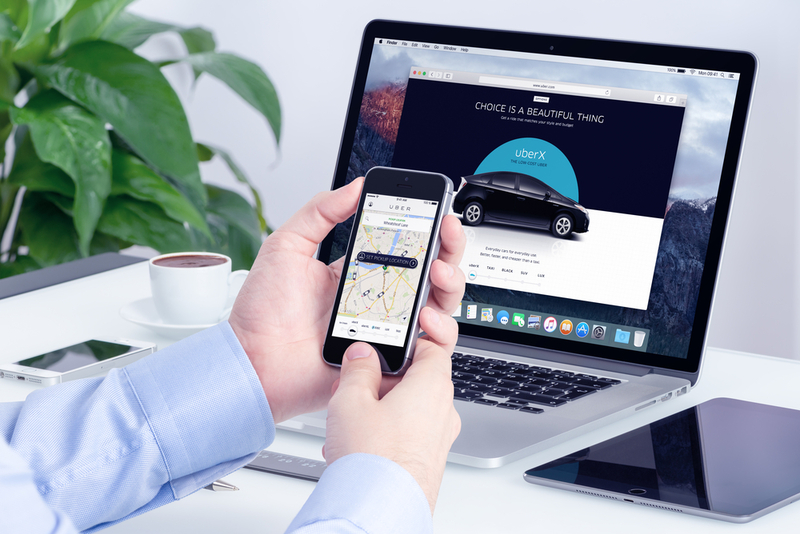 Well, believe it or not ride-sharing app company UBER may have a solution coming. Much like how some radar detectors use smartphone data, Uber is making an app that uses the tensors in your smartphone in order to collect data to prove if your taxi driver is violating traffic laws between their jobs or just generally driving like a big jerk to everyone on the road. Modern phones all have sophisticated systems that range from accelerometers to GPS and more. The Way this works is based on a system of sensors that capture and interpret various data, such as how fast may be vehicle is moving, sort of rooted in estimating how long a journey takes and even if the car is moving to its destination too fast or braking to fast..
Uber’s test program will involve the verification of passenger response and corroborate it with feedback from the sensor data of the smartphones. At this time it is unknown where trials will be taking place. Uber has come under fire recently from media coverage of several incidents involving bad drivers and passenger experience. As a result Uber focused their efforts both on PR and an attempt to monitor the movements of their drivers. Most recently we learned that they used an experimental Texas-based program. We know that Uber did not inform their drivers that their movements are being tracked, because doing so would make the whole experiment a compromise however they did take note to inform users in cases where they are accessing the data after public complaints. Right now sources claim that selected UBER drivers everywhere are being monitored since November of last year. Uber claims this new program minimizes false poor ratings and complaints. If smartphone data confirms a that a customer’s complaint about a driver who ran a red light, Uber will send that driver an email alert with supporting data. When data does not support the complaint, the poor rating associated with it can be actually stricken from a driver’s record. The system is intended to provide drivers a form of defense against unfair or fake complaints. All of this coincides with General Motors developing a project of their own to gather information about “human instincts in specific driving conditions.” It is part of their partnership with the startup Mobileye. Unlike Uber, GM is focusing on using a vehicle’s external sensors, cameras and GPS data. The vehicle data will be run through a system to analyze driver behavior that could potentially influence how the autonomous technology GM is working on will advance. We have seen companies look for new ways to use driver data and such. Could it be that UBER and GM have us, the people behind the wheel in mind? Comment below and let us know your thoughts!